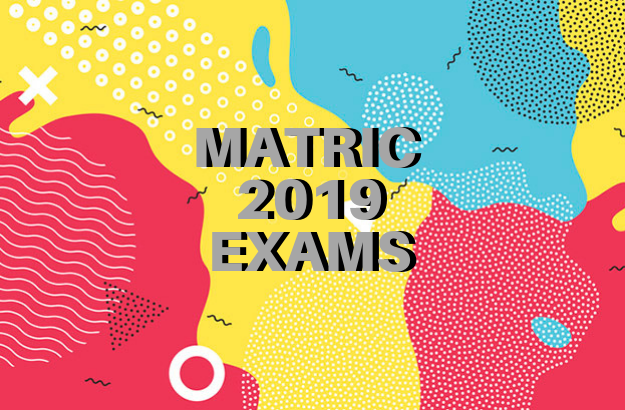 Here's a list of all the matric subject pages where you can find past NSC matric exam papers dating from 2008, as well as IEB past papers, to download and practise on. Every child deserves the best, and if we can help one child understand a subject better and achieve a higher mark in their exams, we sleep better at night. Here are study guides for many high-school grades in several subjects, available for free, courtesy of organisations who work tirelessly to help advance education in South Africa. Download these Mathematics past matric exam papers to help you prepare for the final exams. Download these Mathematical Literacy past matric exam papers to help you prepare for the final exams. Download these new Technical Sciences exemplars to help you prepare for the matric exams. Download these new Technical Mathematics exemplars to help you prepare for the matric exams. The National Benchmark Tests (NBT) assess how ready you are for tertiary studies in South Africa. Here's everything you need to know about the registrations, test schedules and deadlines. With the 2018 NSC matric results all wrapped up, let's take a look at how each province has performed academically from 2014 to 2018. These are the government schools that got a 100% matric pass rate in 2018! Over 500 schools in the country achieved a 100% pass rate for the 2018 matric exams and a fifth of them have been doing so for 5 years now. These are SA's top achieving schools. The speech has been made, the results have been released and hundreds of thousands of learners are celebrating their success. See how the class of 2018 reacted to their matric results. As parents, teens and the country at large awaits the NSC matric results, here are inspiring and hilarious tweets and memes from social media to keep the nerves at bay. Where can we get the 2018 matric results? The wait is almost over for the matric class of 2018. Here are seven ways to access exam results. UPDATE: What are the NEW matric pass requirements? If you're in the dark about what the minimum pass requirements for matric are, and what a bachelor's pass is, here's all you need to know. Don't fret! From remarking your exams to completely redoing your subjects – there are so many options available to you. It's the countdown to the matric results. Here are some of the best tweets and memes while we wait... only 1 more week to go, folks! Are you over the age of 21 and wish to pursue a matric certificate but was unable to complete your matric studies? You may finish your matric by writing the Amended Senior Certificate in June/July 2019. Here's what matrics are saying about the final exams so far, plus some important dates to diarise, including when results will be released. Out with the old in with the new, here's all the details you'll need if you plan on registering for the NSC June 2019 exams. Download the schedule for the Independent Examinations Board (IEB) matric exams here. Download these English Home Language (HL) past matric exam papers to help you prepare for the final exams. Download these English First Additional Language (FAL) past matric exam papers to help you prepare for the final exams. UPDATED: Download these past matric English Second Additional Language (SAL) exam papers to help you prepare for the final exams. Here are free study guides and text books to help matrics prepare for the English FAL exam! Download these study guides to help you with your upcoming Mathematics exams. Download these Physical Sciences past matric exam papers to help you prepare for the final exams. Download these study guides and textbooks to help you with your upcoming Physics exams. Download these Life Sciences past matric exam papers to help you prepare for the final exams. UPDATED: Download these past matric exam papers to help you prepare for the final exams. Class of 2018, follow us on Instagram @parent24learn for all the exam resources you'll need! You're going to want to search, follow and share this one – we've just created an Instagram account @parent24learn with every resource you'll need to push through your matric mock and final exams. Laai hierdie ou Afrikaanse Huistaal eksamenvraestelle gratis af en voltooi hulle om jou te help voorberei vir die matriekeindeksamen! Laai hierdie gratis oefenvraestelle en memos af om jou te help leer vir die Afrikaanse matriekeindeksamen. Download these IsiNdebele Home Language (HL) past matric exam papers to help you prepare for the final exams. Download these Isindebele First Additional Language (FAL) past matric exam papers to help you prepare for the final exams. Download these IsiNdebele Second Additional Language (SAL) past matric exam papers to help you prepare for the final exams.